Buying or receiving a new large screen TV can be exciting. In fact, most new electronic devices are a lot of fun for most people. But every new device means there's probably an old one that's now unwanted or not needed. At the holidays, when there are tons of new devices and TVs being received as gifts, this also means a large amount of trash debris that now has to be disposed of. And that also means there are large electronic appliances like computers or televisions that have to be gotten rid of, as well. And hat kind of disposal takes the chore to higher level. Because getting rid of all the paper, foam and cardboard packaging from the Christmas gifts is relatively simple. Trying to get rid of your old TVs can be difficult and cost you money. Do You Know What's In Your Old School TV? Historically, televisions have been constructed in two ways. The original technology used cathode ray tubes, or CRTs. These are the large, pyramid-shaped device that makes up the bulk of the TV and they have a television screen attached to the front end. Unless you are working with a miniature TV, these devices are quite heavy and somewhat fragile, which is a potential hazard because of the contents of the CRT. 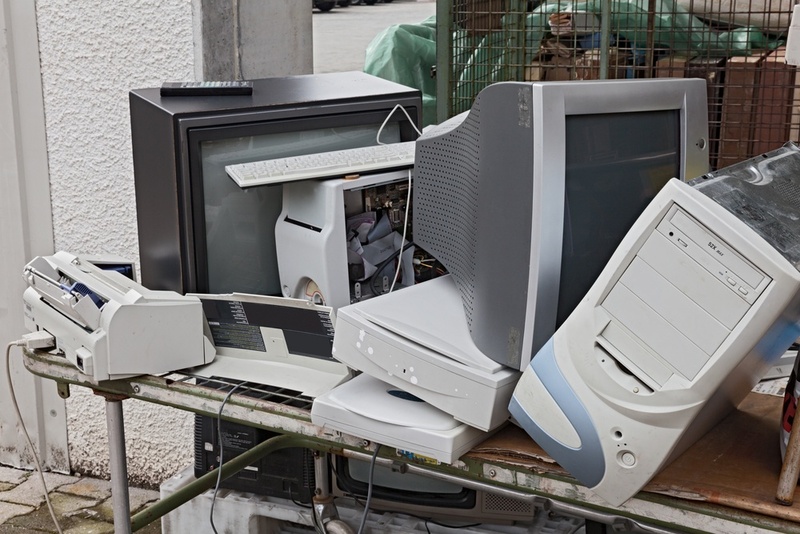 For starters, just the glass enclosing a typical CRT can contain up to eight pounds of lead, not to mention a layer of cadmium-based phosphorous and other toxic heavy metals. Normally, a television’s CRT is not a health threat, which is a good thing as there are still millions of them sitting in U.S. households! However, if the glass on a CRT breaks, it can release the lead and other materials into the air or ground. And televisions, especially the old cathode ray tube models, can sit in a landfill or dump 20 or 30 years. Because they are also extremely heavy, people tend to leave them sitting around instead of taking the steps to properly dispose of them. And that's just the old TV sets. 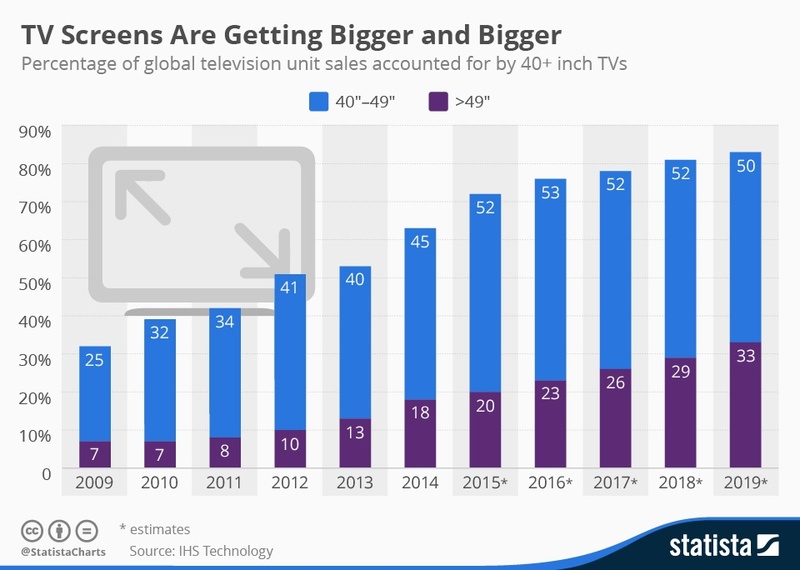 Now with have to deal with the more recent flat screen varieties. Even though this giant screens don't use lead-filled glass CRTs, flat screen TVs have some toxins and hazardous materials in their components, not to mention the wood, plastics, copper wiring and circuit boards. It used to be that in the recycling and recovery industry old CRT televisions could be dismantled and their components recovered profitably. Because of the relatively high prices of metals, the glass tubes containing lead could be melted down to make new CRTs. That's not so much the case any more. Today, disposing of flat-screen televisions has its own problems. This is especially true for older models that were built with LCD lights in the screens. These units can contain up to 20 mercury-filled tubes, which is a real problem as mercury is a toxic metal. Humans can suffer from poisoning through inhalation, ingestion, or skin contact with various forms of mercury. For that reason, and because the screens are difficult to dismantle safely, workers have to worry about rupturing those tubes. Eve since the 1940s when families first began to bring home new TVs, they had to figure out how to dispose of their old one. As time went on, these cabinets with tiny screens gave way to larger units with bigger screens. By the 1960s and 70s we were buying massive television consoles that could take up half a wall in our living rooms. Later, towards the end of the last century, the trend was to make smaller, more portable units. The downside of these relatively inexpensive units, unfortunately, is that when they died or were replaced, it was too easy to just toss them into the garbage. But those small CRT units could still be very dangerous because of the toxins. In addition, by the 1980s we were also bringing computer monitors that were simply specialized CRT units. And they had most of the same problems when it came to health concerns and with disposal. So, what can you do with your old TV? Most major brands and retailers have take back programs and will allow you to send their products to them for free, even if they no longer work. If your television set does not offer a take back incentive, you can also contact Best Buy or Staples. Both of these retailers offer a comprehensive collection program that can assist you when you need to recycle flat screen TV. And, in some areas, a Best Buy location may be the only option short of the local dump. Best Buy has recycled more than 1 billion pounds of electronic equipment since it started its e-waste program in 2009, according to the company website. Until recently, Best Buy would take old TVs for free, which meant Best Buy took on much of the actual costs to recycle the materials. While they still take them, the retail chain has had to start charging a $25 fee for recycling TVs. Donating your old TV is another option and there are several organizations, schools, and other programs that could use televisions in good working order. That would even include an old CRT set! Ideally, recycling televisions is the best option for unwanted sets or old units that no longer work. 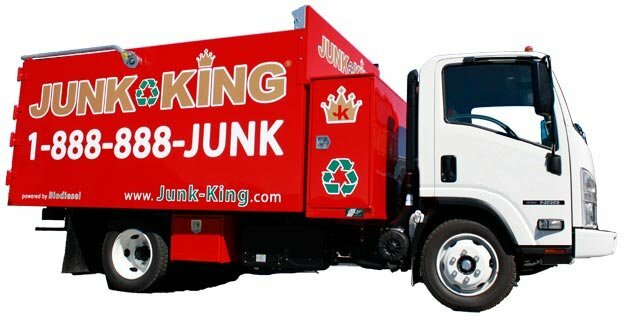 The most efficient and convenient way to make this happen is to call a reputable junk hauling firm like Junk King. And this can include old computer monitors, old CRT televisions, or large flat screen units. Junk King provides an efficient, safe and eco-friendly TV disposal service to make the whole process easy for you. Our experienced television removal team will have the manpower to haul off that old TV set without damaging any part of your home on the way out. We’ll do all the heavy lifting - no need to carry items out to the curb. Finally, we’ll make sure that the TV is disposed of at a proper recycling facility so that it doesn’t do any harm to our ecosystem. Our professional and insured TV disposal team will show up at your home or office; we call 15 minutes before we arrive on site and we’ll give you a free estimate based on how much room your items take up in our truck. You point and we haul your old TV set into our junk removal trucks, with no hidden fees. You make an appointment by booking online above or by calling 1.888.888.JUNK (5865).